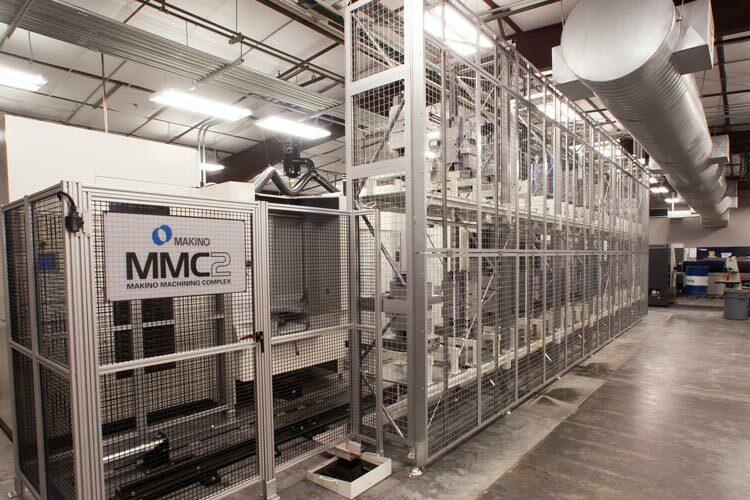 At the heart of our manufacturing floor is our modular, 24 pallet, automated Makino MMC2 material handling system. This handling system manages the pallet configurations to provide for a high mix of dedicated parts that all run from a user friendly flexible control system. The system allows for in-cell scheduling, equipment monitoring, program management, tool data management, remote monitoring and reporting capabilities for true lights out manufacturing. 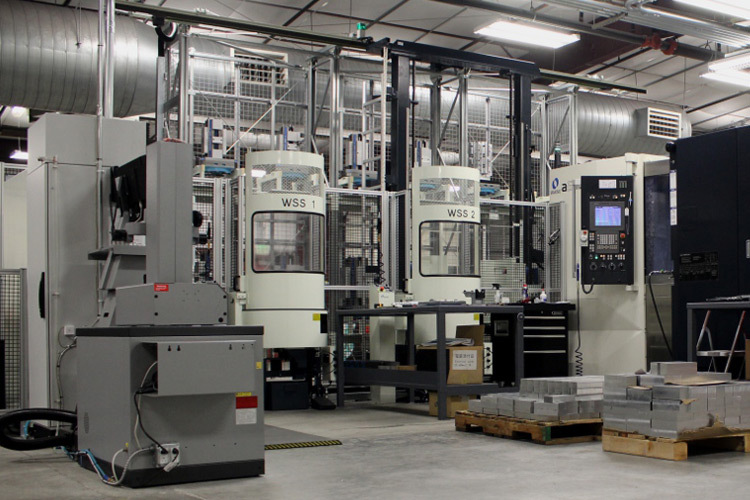 Added features include modular palletized tooling for quick and convenient change overs.